omid (mashhad, Iran) on 20 December 2011 in Animal & Insect and Portfolio. 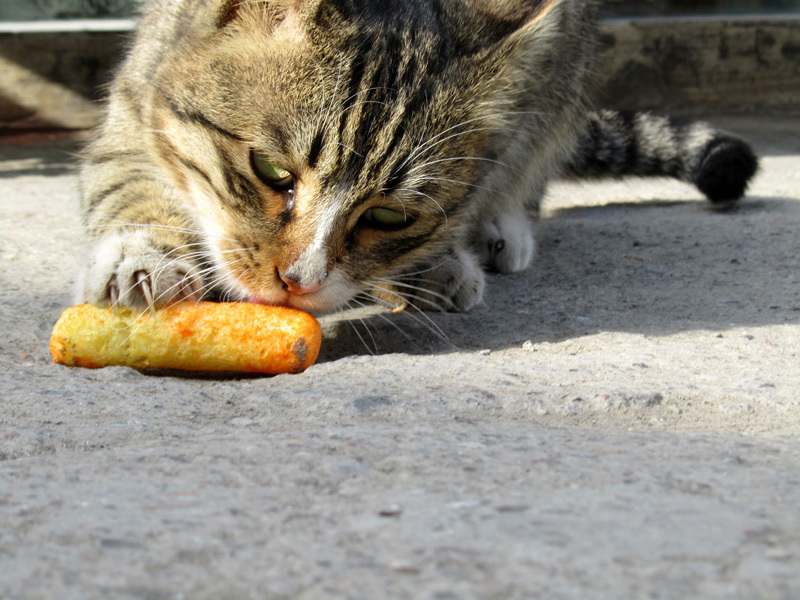 Kittys are so careful and tentative about what they'll eat or not eat. Fine close up. Super captage de ce chat avec son jouet fantastique cette tête et captage. Nice picture, well done. Cats are very fussy about what they eat, this is obviously very attractive. Cool shot? Wat is she eating? @Patricia (✿◠‿◠)❤: salty snack (Corn Curl) !!!!! Man ye gorbe dashtam chitoz kheyli dus dasht! @curieuzeneuzemosterdpot: I was surprised to feed the cat !!! An intriguing PoV with great detail and clarity! At least it isn't a bird!! Thanks Omid.